The Shop-Domains are now at the GoLive Period. What are Shop-Domains and why you need such a domain name? If you are active on the internet then chances are there that you have already heard about Shop-Domains that are specialized domain names under pre-registration phase right now. In this post, I will be telling you bout .Shop domains in more detail, how these domain names work and also if there are any benefits of using these domains or not? Normally, when you access any website, you have to put an extension in front of its name like .COM, .NET, .ORG etc. The domain name ending at .COM is called dot-com domain and similarly if a website is ending with .Shop, it will be called a Shop domain. I hope that this will be enough to clear your idea about Shop-Domains but I suggest you to keep reading if you want to know some more things about these domain names and how they work. Many people find it difficult to understand how these domain names work? Well, this is no rocket science as the Shop-Domains work according to the same principle that is applicable for any other domain name in the world. The only difference is that, it ends with a different web extension and that is the main reason why people find it strange. Let’s just say that you have a website where you provide information about different things and for convenience, you have purchased .INFO web URL for your website so for anyone to open that website, proper address with extension needs to be provided. The website address will go like this; www.your-website-address.info. Similarly, if you intend to sell products on a website then you can purchase .Shop domain name for your website too and the address will look like; www.your-website-address.Shop. What is the purpose of Shop-Domains? The purpose of using Shop-Domains is quite clear. The very first thing that comes to mind is that, these domain names offer a distinct identity to a Shop website. You don’t need to go for .com domain name when you can purchase a Shop-Domain for your website where you intend to sell products. This will definitely characterize the online world and people will find it easier to lookup for the things that they need. A person who wants to open an online Shop should prefer registering Shop-Domains instead of any other domain name that is available in the market, as the target group underestands by its intuition, that a Shop-Domain will shop a shop at the web. There are certain benefits of Shop-Domains that will be discussed below. Is there any benefit of using Shop-Domains? You must be wondering whether there are any benefits of using Shop-Domain or not? Well, there are many benefits that a person can get by going for Shop-Domains. The very first benefit is the variety of options. If you wanted to register a particular domain name but that was not available in .com universe, it must be available now as a parallel .Shop universe has been discovered. Another benefit is that, the specific URL of your website will bring more customers towards your website and I must mention here that search engines will prefer to rank your website at a higher position due to uniqueness and matching results too. · Lucky enough to snag a Shop-Domain that corresponds directly to your store name or product offering? It’s worth considering replacing your existing domain, especially if it’s long, contains dashes or is difficult to spell or remember. We recommend creating a strategic transition plan to implement this change so that it will feel seamless to existing customers. Simply start re-directing your existing domain to your new online front page, while updating and transitioning your paid programs. Organic will, over time take care of itself. Just make sure to retain your existing domain and use an automatic re-direct to ensure you don’t lose any traffic in the transition. · Like the domain you’ve had for years and don’t want to move your online presence? That’s fine too. 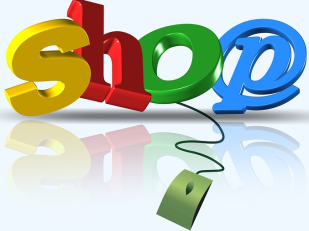 But be sure to check the availability of Shop-Domain for your existing domain and brand name. If one or more are available, you should take them to ensure no one else tries to utilize your hard-earned brand name recognition to build traffic and incoming leads for their competing store. In securing one or more Shop-Domain domains, you can simply setup automatic re-directs to capture this traffic as well. · Utilize a Shop-Domain domain to boost your existing or new customer loyalty and affinity programs. As an additional recognition of your special customers, you can create and/or move your loyalty and affinity programs to a dedicated Shop-Domain and present special offers and opportunities. Thanks to today’s easy-to-use technologies, it is simple to have the same overall look and feel on this site and integrate it with your holistic online presence through navigation menus and more. Think this type of program isn’t important? Loyalty programs are a priority to retailers, large and small. In fact, 62 percent of retailers boosted their loyalty program budgets in 2015, and 46 percent considered these programs a important priority to their businesses. · If you’ve already locked up your related Shop-Domain domain(s), you may want to consider using one or more of these domains to create unique landing pages for paid programs or specially-branded programs, such as a yearly blow-out sale, holiday promotions and more. Think of your new Shop-Domain domain as a shortcut concept for branding and memorability among your target customers to create recognition and word-of-mouth social media buzz. · Perhaps you’re struggling to utilize QR codes in-store or on physical media such as promotional flyers and mailers. Utilizing a new Shop-Domain can enable you to ditch these difficult-to-use QR codes which require your target customers to download readers, snap pictures and more, just to be directed to your site or a custom landing page. Now more than ever, QR codes are a losing proposition, with only 21 percent of US consumers saying they had scanned one. Instead, utilize a simple, short, smartly branded Shop-Domain to connect with consumers in physical media from outdoor billboards to pass-along flyers and adverts. · Shop-Domain provides another powerful program for retailers that either have strong location-based affinity or employ sustained regional/local marketing for a chain of physical locations and stores. Now they can utilize unique Shop-Domains for geographic-based marketing, such as FlowerWarehouse-West.Shop or BigTies-Austin.Shop. It’s almost impossible to operate from one, generic site and effectively serve different constituencies across the country. By utilizing several distinctly geographically-branded Shop-Domains, you can direct customers to the targeted offers, merchandise and store locations with a simple URL. · Think about utilizing a new Shop-Domain domain to directly engage customers instead of paying for expensive social media boosting, especially since many of the newest platforms don’t share metrics and data insights with companies hosting free profiles. The more you rely on these channels for what seems like free traffic, the more dependent you become when they begin to limit your reach, even to those customers who have expressed an opt-in interest in following your brand and posts. Instead consider hosting your blog posts, photos and other information on a custom-branded Shop-Domain site and promote this site to your customers, driving them to your platform. Savvy marketers are beginning to utilize standalone, branded sites in this way, as 83 percent believe it’s more effective, and 41 percent have admitted they are reducing their brand’s social media presence. Here you can pre-register your name among the most important New Top Level Domains like the Shop-Domain. Pre-registration is free, but binding. If we secure the name you would like for you, you must pay the domain fee. The standard Shop-Domains cost 60 US-Dollars per year and domain during General Availability.